Chipolata rallies through the stretch for her first win in the U.S.
Chipolata, a French discovery last summer who finished a strong third in the Grade 1 Belmont Oaks in her U.S. debut, launched her 4-year-old season in fine fashion on Thursday at Aqueduct, rallying from last for a sharp victory in a $77,600 allowance event. The chestnut filly is part of a nice wave of French performers for West Point Thoroughbreds. Last month, French-bred Devamani began his 2019 season with a victory at Gulfstream Park for Chipolata’s trainer, Christophe Clement. Another French filly, Maroubra, made a nice impression in her U.S. debut on March 29 at Gulfstream, finishing a late-running fourth in the Grade 3 Orchid Stakes for trainer Cherie DeVaux. Chipolata was stakes-placed in France and came flying with a wide stretch rally in the $1-million Belmont Oaks at 36-to-1 odds to nail down the show spot and earn $100,000. Freshened up following one final start in 2018, Chipolata settled nicely in Thursday’s second-level allowance over 9 furlongs, and when leading jockey Manny Franco produced her at the top of the lane, she responded with a sweeping five-wide move and won going away at 9-to-5 odds. West Point campaigns Chipolata with Hubert Honore and Rob Masiello. 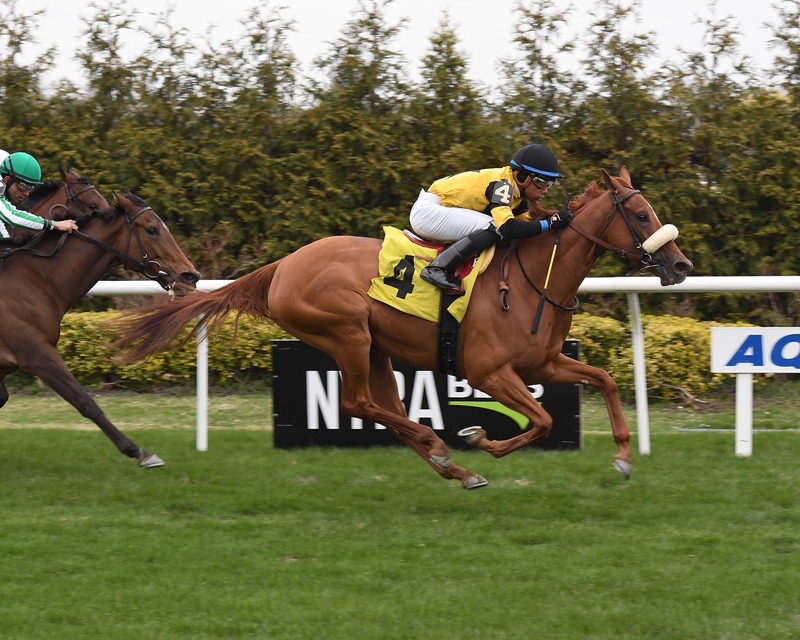 The victory in Aqueduct’s feature provided the bookend for a nice afternoon, as West Point also won with the 4-year-old filly Saints’ Girl in the Keeneland opener.